This rugged, technical backpack from Matador packs away for convenient compact travel. The Beast 28 is the first packable pack of its kind, offering all the features of a full-size backpack, but in a compact design. Perfect for outdoor adventures and destination hiking. 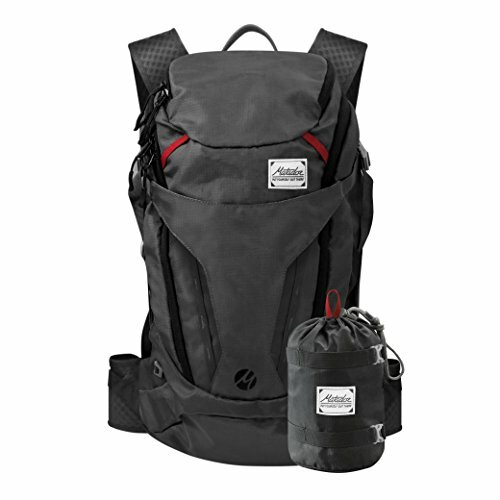 The ultra-light design and 28 liter capacity holds enough gear for day hikes and short overnight treks. Packs into the included drawstring storage pouch for space-saving travel. The coated rip-stop nylon is water resistant and strikes the perfect balance between structure and packability. Dark grey with slate blue accent color, this backpack will accommodate most hydration bladders and includes hose routing features. Features include a waist and sternum strap for long time wear and comfort.